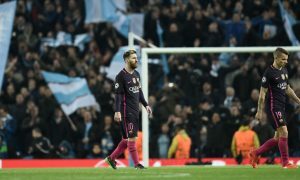 Barcelona superstar Lionel Messi believes Manchester City and Paris Saint-Germain are the strongest teams in the Champions League this year, but is also wary of old rivals Real Madrid. City have a perfect record in Europe, having won five out of five in what looked like a tricky group, and remain unbeaten in the Premier League with 34 points, giving them an eight point gap ahead of neighbours Manchester United going into this weekend’s fixtures. 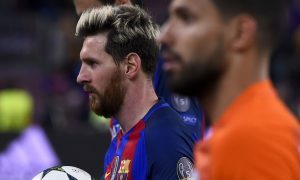 And Messi, who has been linked with a move to City for close to a decade, has labelled his long-time suitors as one of the best teams around. “City is one of the strongest teams at the moment together with PSG,” the 30-year-old said to the Spanish press. Real Madrid are not enjoying their best season to date, but such a successful side will always present a danger, something Messi is all too aware of. “I never rule out Real Madrid because although they’re not having the results that everyone expects, I have no doubt that in the end they will be fighting for everything, as they do every year.